What is the relationship between “community need” and museums? In December, I asked readers “What are your museum questions?” One colleague, Andrea Jones, emailed me to say that she has been thinking about questions around “community need.” That email grew into an exchange between the two of us, that turned into this post. This is very much the beginning of a conversation. Andrea and I invite you to join the conversation by commenting on this post! Andrea is the Director of Programs and Visitor Engagement at the Accokeek Foundation in Accokeek, Maryland, and previously contributed this interview to Museum Questions. Andrea Jones: I’ve had a couple of topics rambling around in my head the last couple of days. 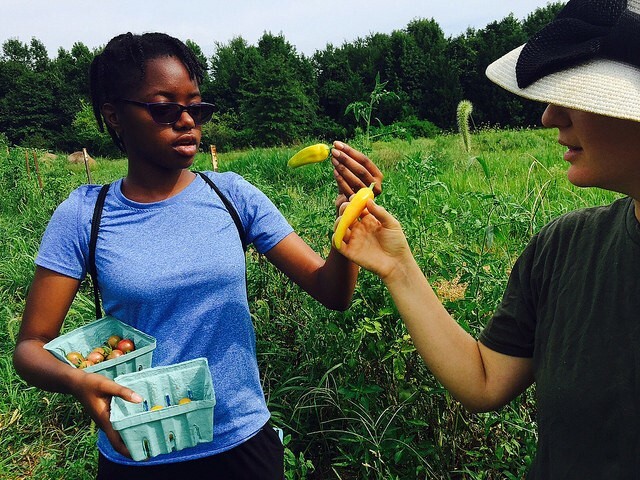 One of them is about “community need.” At Accokeek Foundation, we have a farm (“Ecosystem Farm”) that we are transitioning from a production farm (selling vegetables at a farmers market) to a demonstration or agricultural exhibit space. The farmers came up with a vision for showcasing sustainable agriculture and our Director of Development asked if they could show “community need” for the kinds of themes they want to explore. I’m hearing this phrase a lot lately, and I think it means, “Will people come to this installation, program, exhibit etc. ?” But it could mean something else. No one in the community has actually asked for an agricultural exhibit space. Does that mean we shouldn’t pursue it if there is no proven need? Rebecca Herz: What’s the difference between a community needing something, and a community asking for it? If a program or exhibition is successful, is it successful because it already has an audience, and it is addressing an existing need for a museum to address this topic? Or is it successful because it raises something new, in which case it might take a while to catch on, but it has the potential to spark new dialogue? Andrea: Yes – that’s exactly what I’m asking. Should museums be creating exhibits, programming, etc. in response to the community, or should they be fulfilling a need that visitors didn’t know they had? There is research (see links at the end of this post) to support the fact that people are notoriously bad at predicting what will happen in the future, or what they may actually want. They may think that they need someplace that sells fresh fruit and veg, but then the fruit stand opens up and no one buys. My former employer, The Atlanta History Center, was able to procure the donation of a huge collection of Civil War artifacts in the late 1990s. I wasn’t working there then, but I doubt if they asked the community if they felt that they were solving the problem of “not enough Civil War education.” The museum just said YES and became one of the top 5 places to see Civil War artifacts and (I think) created its own need. Rebecca: Randi Korn taught me that in a formative evaluation you never ask the visitors what they want to learn about the topic. Because if they haven’t learned it, they don’t know about it. The Atlanta History Center didn’t ask the community in part because this decision was not about “community needs” – it was about a need of the museum field and historians, the need to preserve these artifacts, and the need to share an important collection and information with the public. Rebecca: The original goal of museums was to demonstrate and propagate a norm or value. The very mission of protecting objects is related to perpetuating a hierarchy of what is worth protecting. As recently as the 1950s the United States used exhibitions of Abstract Expressionist art to demonstrate that the United States was a vital, creative place, and thus to demonstrate the creative power of the country, and thus argue for the supremacy of the U.S.
Maybe museums are attending to “community need” these days because in the 21st century, communities have something museums need – the power to tweet and facebook their perceptions of a museum, the power of visitor numbers, the power to shape how an institution is seen. Andrea: Yes. And museums are increasingly collecting in a responsive way, too. I’m wondering how much importance they should give to very current trends. How do you know if something is historically important when you’re still in the midst of events unfolding? Rebecca: We live in a very fast-paced world, and I think there is both a sense that if we don’t collect something now – for example, “Black Lives Matter” protest signs – they will be gone, and also that the importance of current events is somewhat evident. But that’s not the same as asking people what we should collect or display. Andrea: Back to the idea of actual community need . . . Last year I had a meeting with two teachers at a high school that has an environmental/agriculture program. We went to the school to drum up business for our new environmental school tour, but one of the needs that we discovered was that their students needed places to do outside projects and internships related to agriculture. Many of them were involved in the Future Farmers of America. 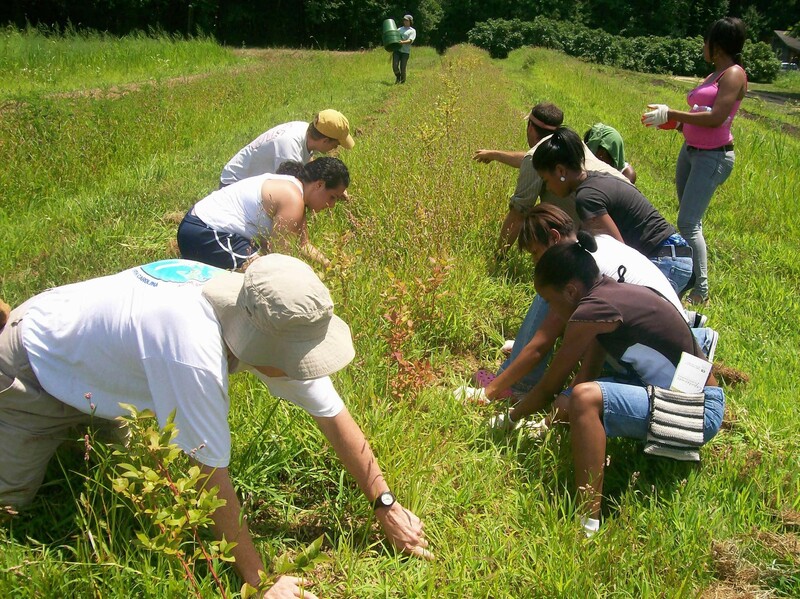 Because we could see funding opportunities for an intensive teen summer internship, we created a program called the Agriculture Conservation Corps just for these students. The program turned out to be a huge win for us. We were able to raise a decent amount of money to pay the interns because funders loved the “story” of the museum helping teens, and the clear impact of this program. It was a hit with the press, board members, and other stakeholders because you could really see what a difference the program made in these nine students’ lives. I guess with this program, the community didn’t provide the vision, just the need for a space for teens to do projects. We responded while still fulfilling our mission to reconnect the students with nature and the food system. Rebecca: Maybe this is exactly where addressing “community need” works. Rather than a big project, the museum worked closely with a very small group of people and was responsive to them. When I was at The Noguchi Museum we worked with a group of women through a local family literacy center. These women were interested in building skills that might help them earn money, including how to make piñatas. In response, we offered a multi-session workshop that focused on design, abstraction, and culture, and how that might relate to piñata design. This was a very successful collaboration, and took our relationship with the literacy center to a new level. I think it’s important that we were not asking these eight or ten women to articulate needs that related to or impacted a larger community. We were not asking them to represent anything other than themselves, or to create something that helped a broader group. 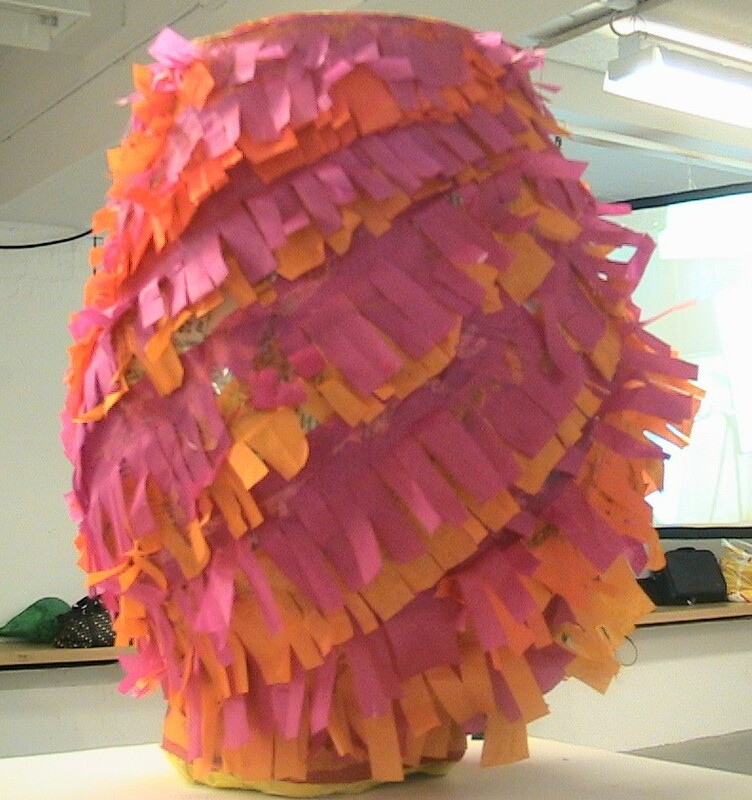 Piñata by a woman participating in a partnership program between the Noguchi Museum and Ravenswood Family Literacy Center, on view in the Education Room of the Noguchi Museum. Andrea: Do you really even need a proper museum to execute real community engagement? It’s not really about the collections when you’re fulfilling these kinds of community needs. It really makes me wonder if the definition of what a museum is or does is changing. Are we more like community centers? Rebecca: You are pointing out that museums often don’t make programming decisions based on their collections. They want to be important to people in ways that go beyond their collections, even if they might be seen as compromising their original missions. How much should a collection drive decisions about programs? Andrea: Well, I think collections will continue to steer the course. But perhaps we need a looser interpretation. Maybe what we’re really talking about here is relevancy. Is your museum relevant to the communities you serve? And when we do execute a deeper level of engagement with a particular audience, how much authority do we give? April 18, 2016 in Museum Administration. What is the role of objects in an institution committed to social justice? ← What data do we use to define success? Very interesting post – thanks for sharing this discussion. I love posts like this, because it’s sort of like thinking out loud . . . no “correct” or final answer, but it’s useful to kick the topic around. My perspective is from a history museum, as well, since I’ve worked in history museums and historic sites for my entire career (so far). The whole concept of “need” and “relevancy” on the part of our communities is fluid, flexible and multi-faceted, I think. Their needs vary as do ours . . . our abilities to meet those needs vary, as well. But I think community need and relevancy are almost disconnected from our pursuit of fulfilling our missions at times . . . we will pursue educational and scholarly projects, develop programs, and collect fragments of community history regardless of whether the community needs us to or not. We KNOW that they need us to do this . . . that’s why they fund us, and come to see our exhibits, and attend our programs, and follow us on Facebook. Unlike a disease, and the medical researchers doing necessary work to cure it, no one will perish if we don’t look into a certain pattern of 19th-c. community voting records, or collect a fine example of a local silversmith or furniture maker’s work . . . they don’t “need” us in the same way. But we provide a community’s context . . . we answer a lot of their historical questions, which deal with change over time, and perspective, and progress, among other things . . . we save memories, in ways that most other people can’t or don’t care to . . . we help to make change less scary . . . we inspire people and broaden minds. I think that makes us relevant. Jim, I love your last few sentiments about making change less scary and inspiring people. It’s bridging the gap between the museum’s preservation/research priorities and what’s going on in contemporary society that makes for this teetering balancing act. We must respond to inspire. But I’m also wondering: is there such a thing as too responsive? I think museums are responsible to be responsive to their communities. To me that means listening first. The community may not say – or know- what they need. The museum could act first as an observer, then – if appropriate – respond. If the museum can’t respond to the community need because it’s not mission/priority-related, then perhaps it could act as a referral system – which in a sense IS responding, because you’re helping set the wheels in motion for the community. To me, that is inspirational. Indeed, museums’ roles in the community are changing, or at least should change, to be relevant to them in new ways.